There are currently 62 people online. 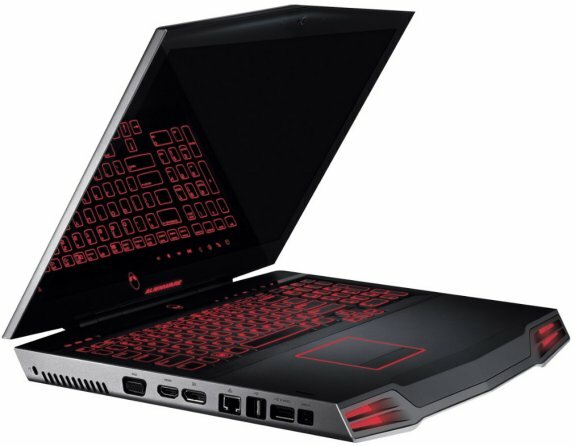 TechPowerUp found some details about a trio of upcoming Alienware laptops; the 14" M14x R2, 17.3" M17x R4 and the 18.4" M18x R2. Pricing and availability is unknown. There's not much info on the M18x R2 except for the fact that it will be available in both red and black, while the M14x R2 is said to come with the same colors and have 1 GB and 2 GB graphics options. The M17x R4 is claimed to feature at least three new GPU choices, including the yet-unannounced AMD Radeon HD 7970M, Nvidia GeForce GTX 660M and GTX 675M. All three laptops should also adopt Intel's upcoming 22 nm processors (Ivy Bridge).